The latest Lee Valley Woodworking Newsletter (Vol. 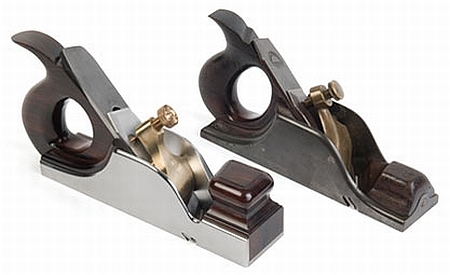 4, Issue 5, May 2010) has a great article on how Konrad Sauer reproduced a handled badger plane. Badger planes, “generally considered to be Scottish in origin,” have a blade that is both skewed and rotated (about 10°) so the blade exits out of one side of the plane allowing it to cut rebates. 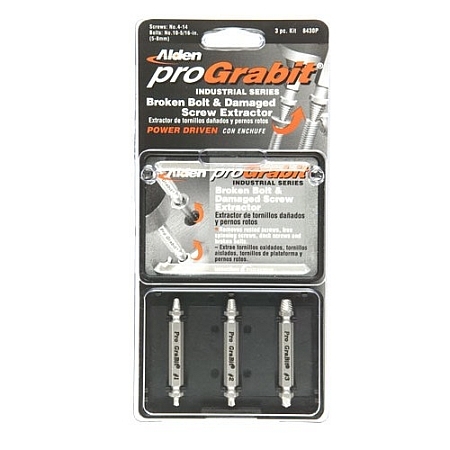 I’ve had two occasions recently to use my set of Alden proGrabit® broken screw extractors, and both times it worked like a champ. The first time was on some — apparently cheap — 6-32 Phillips screws in an outdoor electrical box where the heads were quite dinged up (probably during installation). A quick touch with the drill bit side while reversing the drill created a cavity in the top of the screw. Then, with the bit flipped around to the extractor side and continuing to run the drill in reverse, I easily removed the screws. The second time was on a broken 5/16″-18 brass air-release screw in a pneumatic telescoping mast, and the process went just as smoothly. 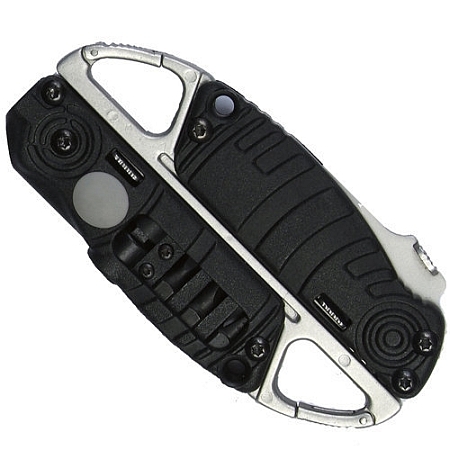 When Sean reviewed the GRR-Ripper almost three years ago (TM 6/19/07), most of the comments indicated it was too expensive at ~$70. Well, through May 29, 2010, Woodcraft has it available for $59.99, a $20 reduction from its current list price. Amazon has it for the same $59.99 price (they’re linked to Rockler). 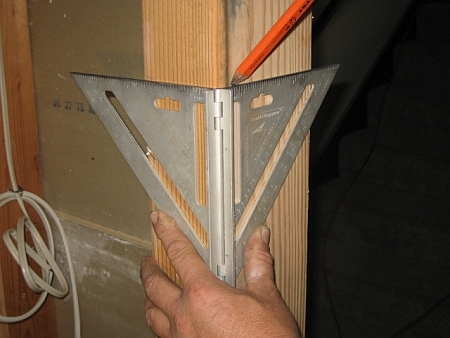 The GRR-Ripper grips and hold both sides of the work piece, and can be used on table saws, router tables, and jointers. 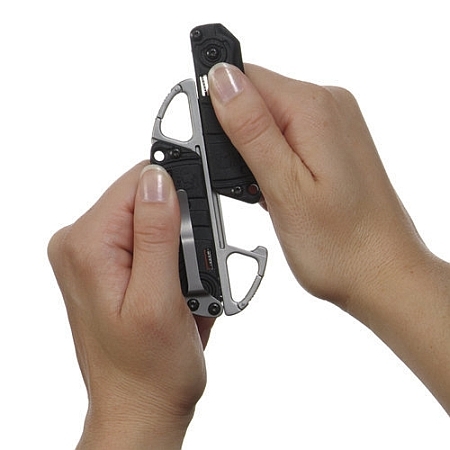 Any more TM users of the GRR-Ripper since Sean reviewed it? What do you think? Is this a Dealmonger @ $59.99? 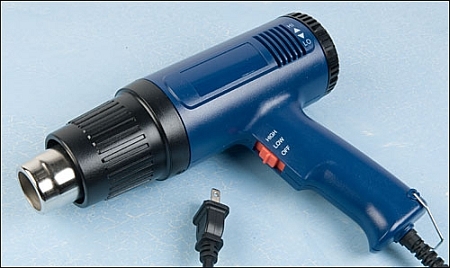 While supplies last, Lee Valley has a 1200W heat gun for $19.95. This gun has a two-speed fan (7.3 and 15 cfm) and a dial-operated variable-heat control, shown below, from 110° F to 930° F (45° C to 500° C). For safety, they encased the gun’s heating element in ceramic and added a thermostat to prevent overheating. This post took a lot longer than I expected because I kept looking at all the neat old barn pictures. The Garage Journal reported on Heritage Restorations, a company that moves and restores 18th and 19th century timber-framed barns, cabins, houses, and mills (showroom and example buildings in Elm Mott, TX). 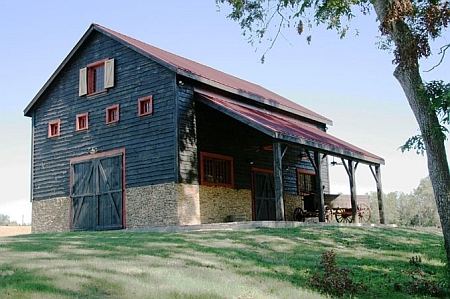 The Long Valley Barn, shown above, is a circa 1810 barn from New Jersey that was dismantled, restored, and relocated to Texas. Besides guiding your saw or projecting level and plumb lines, lasers can now zap mosquitoes. 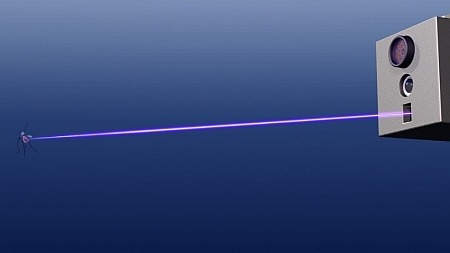 A team at Intellectual Ventures Lab created a working prototype of their Photonic Fence to detect mosquitoes flying at a distance and shoot them down using lasers. The basic components came from inexpensive consumer electronics (e.g., laser printers, Blu-Ray disc writers, camcorders, and video game consoles). With all the web sites — OK, I’ve seen two — covering adjustable-height workbenches/tables using scissor jacks and torsion-box construction, it must mean a resurgence of something or other (height? adjustability? scissor jacks? torsion-boxes?). 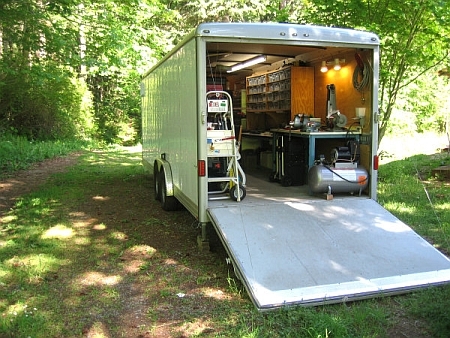 The Jack Bench, shown above and seen on LumberJocks, is a mobile-base, adjustable-height workbench that adjusts from 29″ to 43″ high. 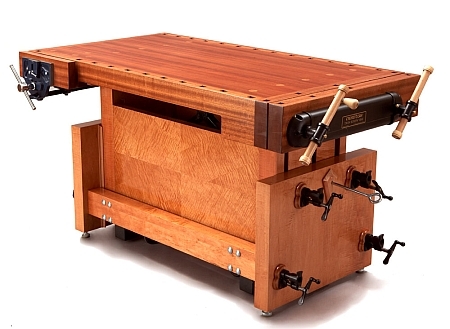 Designed by Charlie Kocourek, its telescoping legs are torsion boxes, and the bench is raised and lowered by an ordinary scissors jack. Standard ¾” pipe clamps lock the legs into one solid base unit at the desired height. 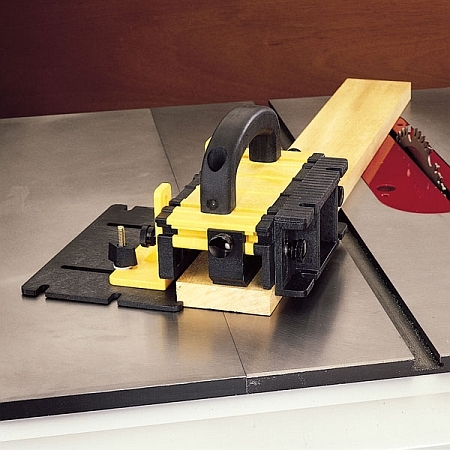 A second scissors jack raises the bench off the floor and onto its mobile base, allowing the bench to be wheeled around. Charlie has detailed plans available on his web site for $29.95. He also has several videos showing the operation of the Jack Bench.